Zenon Display offers a bundle of widgets, which can be controlled over GPIO’s. Communication is done via network and multiple connections from different machines are supported. 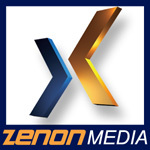 Zenon Display is a cross platform application, suitable for embedded Linux devices as well as standard Microsoft Windows workstations.